Ben graduated in 2009 from Northern Virginia Community College with an Associate's Degree as a Physical Therapist Assistant. Ben enjoys finding new and creating functional therapeutic exercises to help patients of all skills, sports and life. 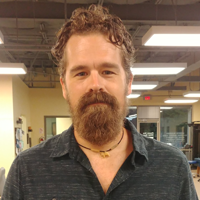 He continues working on improving his manual therapy skills through continuing education courses, to better treat and progress his patients. For the last 4 years, Ben has been in the top 50 and above fundraiser for The Bike MS society and in 2012 biked his first 100 mile bike ride. Starting in 2014, Ben started getting into running 10Ks to half marathons, Tough mudder’s and Gorucks. In his free time, Ben and his wife enjoy biking, hiking, fly fishing, camping, traveling, playing in bands, photography and playing with their lovely dog. In 2016, Ben and his wife welcomed their first child.